We believe everybody deserves to enjoy good bread every single day. 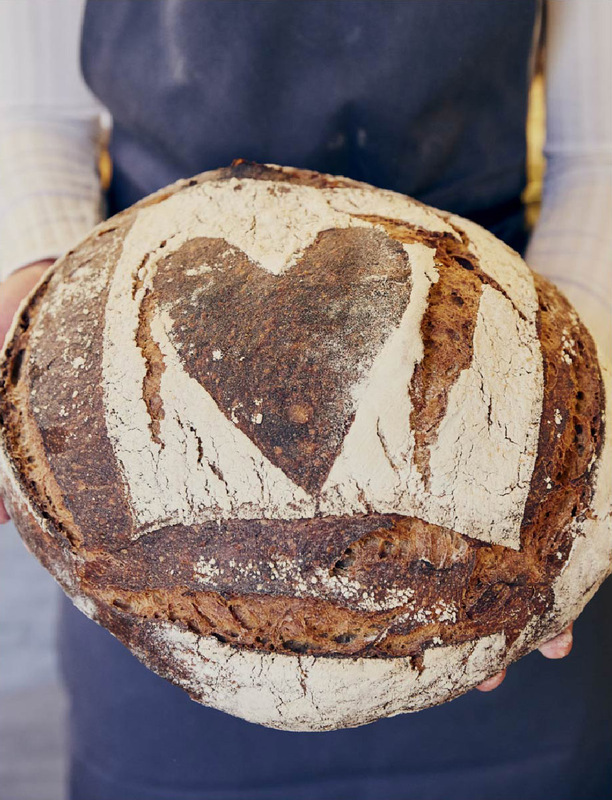 That’s why we bake sourdough for neighbourhoods in and around London — insisting on the finest ingredients, tending to our decades-old starters, and following traditional methods passed down over hundreds of years. We bake by hand with natural ingredients, and whilst we are ordinary people, we want to make extraordinary things. We want to play our part to bring humanity back into the food world, back to local communities. We can’t imagine doing anything more gratifying than baking our, and your, bread. Our story began in the 1990s when Gail Mejia brought the best bakers in town together to bake for London’s top chefs. Our wholesale business, The Bread Factory, which was named ironically because it has always exclusively specialised in handmade, traditional artisan baking, continues to thrive, serving top restaurants and discerning customers. Our first GAIL’s bakery opened in London’s Hampstead High Street in 2005. Today, we have 43 bakeries in neighbourhoods in and around London. We bake fresh, handmade bread, pastries and cakes every day, served with our house blend coffee, and we take great pleasure in using the best ingredients we can find to compliment them with seasonal breakfasts, lunches and afternoon teas. Second only to the love for our mother doughs, we take the most joy from daily chats with our regular customers, many of whom have been with us since we started. GAIL’s is run by CEO and Co-Founder, Tom Molnar.